The death toll in Sunday's volcanic eruption which devastated parts of Guatemala has risen to 69, according to latest reports. Several people are still missing and authorities fear the death toll could rise further. Rescue crews continue to recover victims from houses engulfed by lava and ash. Guatemala’s Volcán de Fuego, Spanish for “volcano of fire,” exploded shortly before noon on June 3. Hours later, around 4 p.m. (2200 GMT), lava began flowing down the side of the mountain. 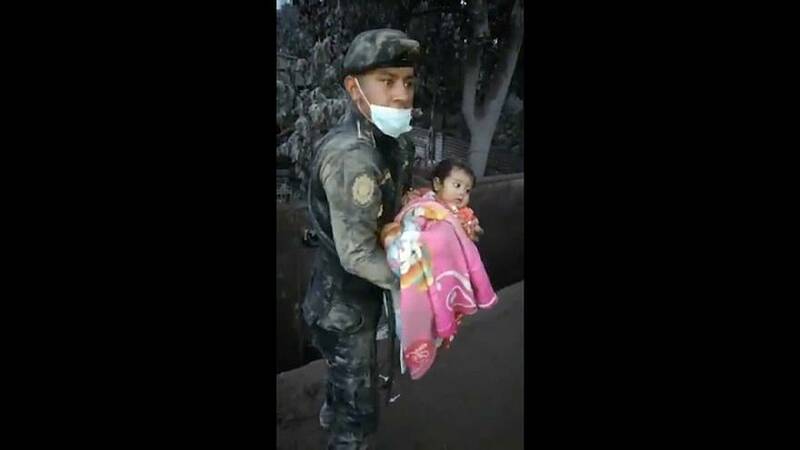 A video shows a Guatemalan police officer rescuing a baby from the debris of a house on June 4 and residents being evacuated from areas affected by Fuego Volcano's eruption.